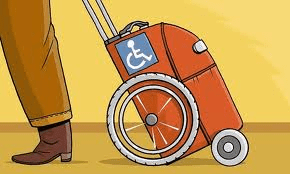 One element of ‘social care’ which is increasing but is still very much ignored is the assistance travel companies give disabled people and others with their baggage. Whether it is at train stations, coach stations or airports, this simple service gives freedom and independence to so many people. The demand for these services are growing, partly because many older people now think its a right and perk of the service. This is clearly adding strain and cost to services which I fear will result in new rules and restrictions being put in place that may harm the people the services were originally designed for. These sort of mainstreamed social care systems are what the government and local councils would support and encourage as a way of ensuring more disabled people can be independent without needing formal support.